Did you know that on our website we list additional resources for all of our DVDs? 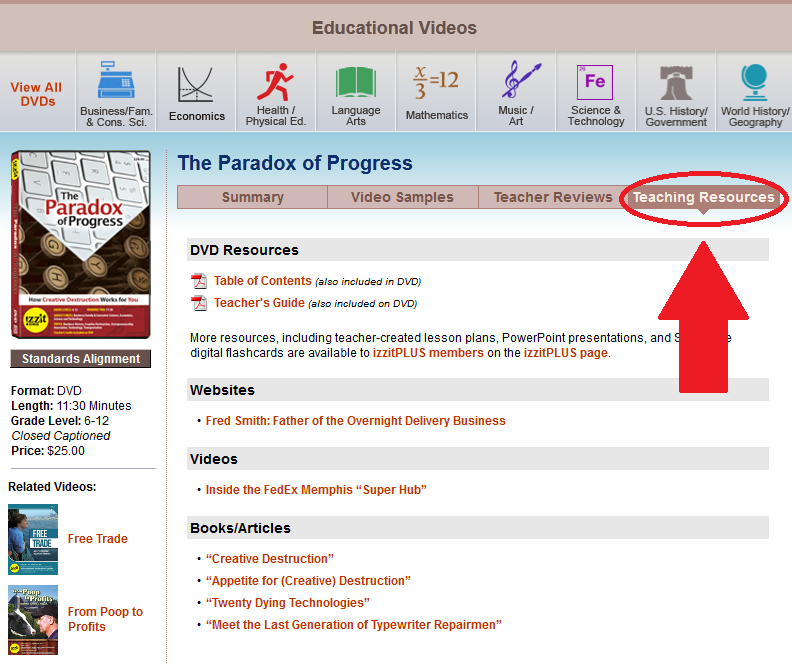 On the right side of each DVD's page there is a "Teaching Resources" tab that includes links to websites, videos, and articles that can provide you with more information on the video's topic or be additional resources for your lesson. Check it out the next time you use one of our DVDs in class!